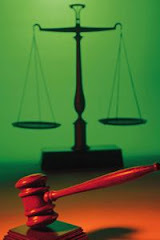 A woman,Cheryl Sweiger,fatally injured by stabbing,was taken to hospital where she later died.The police entered her house to investigate the crime further and found two dead men,one was in the bath.Police enquiring closely,saw the dead man in the bath sit up and surmised that it was the dead body in its final convulsions but this time the dead man was actually alive.He had slit his wrists and taken several sedatives but as the water in the bath cooled down,his body had come out of its self imposed sedation. This book is one of the best books in the true crime files series of books.I would recommend reading this book. I haven't read any Ann Rule, but it looks like she is one to read for good true crime stories. Thanks! I can see what you mean by worth more dead than alive - that first story is some story.. I just started you site. I would Love to win this book. Please do enter me. Thanks. I just joined your site. I would love to be entered in this contest. Thanks. I really like Ann Rule - she's a wonderful writer. If you haven't read her book on the Green River Killer - Green River, Running Red - you should. I especially like the fact that in this book she is much more concerned with telling the stories of the victims than obsessing over the killer. It's poignant & touching & you end up really caring about these women, many of whom were discarded by society before GRK got around to them. This sounds like a great Ann Rule book -- lots of intriguing tales in one book. The first story especially I would like to read -- that guy musy have been one smooth talker! Thanks for the summaries of the case files. Some of them look really interesting. 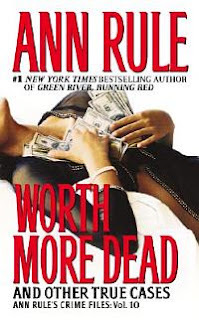 i have read ann rule's worth more dead and now I want to read all here crime books! I've read this book! It was a thriller! !